January was an interesting month, one of those you want to finish as soon as possible. I had my PhD thesis printed and started looking for jobs, with a few good experiences and a few unexpected (bad) surprises. This brought a lot of stress and I am an emotional eater so you can imagine what my diet looked like during this month: chocolate. As expected my skin acted out and the only product that made a difference is the Nip Fab Deep Cleansing Fix. I would use this as an overnight mask on my chin and sometimes on the whole face and in the morning wake up to less angry pimples and a generally healed skin. The most peculiar feature is that I can use it on my sensitive cheeks and it leaves them soft and nourished thanks to the almond oil, as well as on my oily areas and those are cleansed and mattified thanks to the tea tree oil. A product I recommend. As I mentioned on social media, I have been on the hunt for the best affordable foundations for oily skin and in this research I discovered the famous Nivea Sensitive AfterShave Balm, made famous by Nikkie Tutorials who loves it as makeup primer. I tried it under some of the most mattifyng foundations and it works a charm! Makeup goes on much smoother and does not cling to any drier parts of the skin. A big thumbs up from me since it also does not make me oily during the day. Proceeding to the base, I have discovered application with a sponge and haven’t gone back. I had the Real Techniques Miracle Complexion Sponge lying in my drawer for months before trying it lest month and since then it is my preferred tool to apply foundation and concealer. The layer you apply are much thinner and more skin-like without taking away to the coverage of the product. Continuing on the line on face makeup, a new discovery that I have been loving is the H&M Powder Blush in Brown Sugar. I had heard of it from KathleenLights video on the brand (this one) in November but resisted because I didn’t think it would show up at all on my skin tone. When I finally caved and bought it, I was incredibly surprised. It comes off a warm natural shade that is more similar to a light bronzer rather than a conventional blush. Moving on to the eyes, I raved about the Maybelline Lash Sensational mascara in my recent empties (here), so I won’t say anything else than: buy it and see! 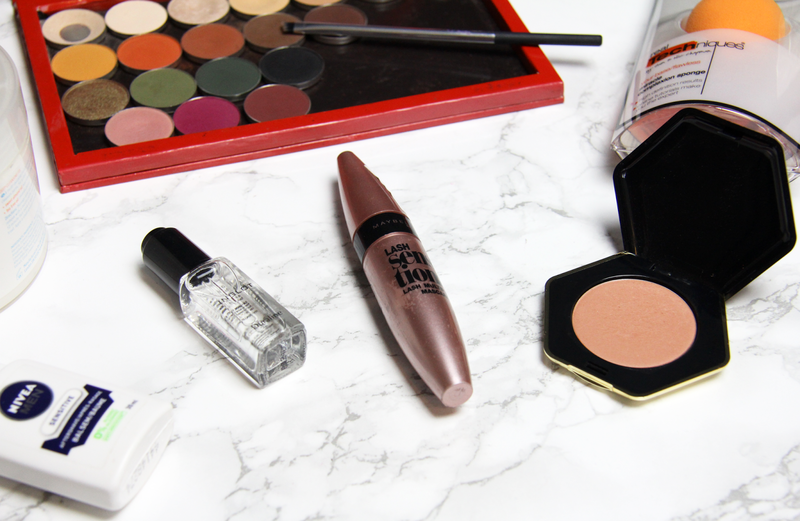 For my brows, I have been loving adding an extra step with a powder eyeshadow. 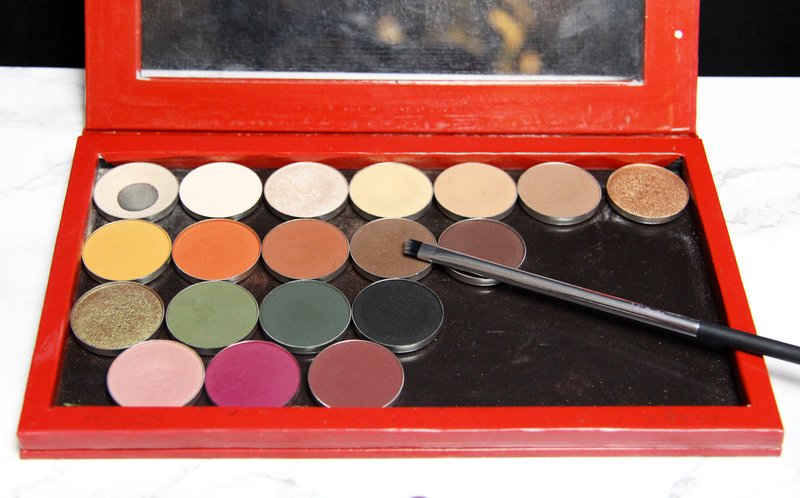 For this purpose I find the best combination is the Makeup Geek Mocha eyeshadow (you can see the swatches here) with the Real Techniques Angled Brush from Nick’s Picks set. Final favorite is the Inglot Duraline because it saved my beloved n.77 gel liner that had dried out after 2 years (hihi oops). I use the Inglot gel liner pretty much every day and use a drop of duraline to “wet” it each time. This mixing fluid is great also to make eyeliner out of any pigment or eyeshadow. I am just so happy to have picked it up. 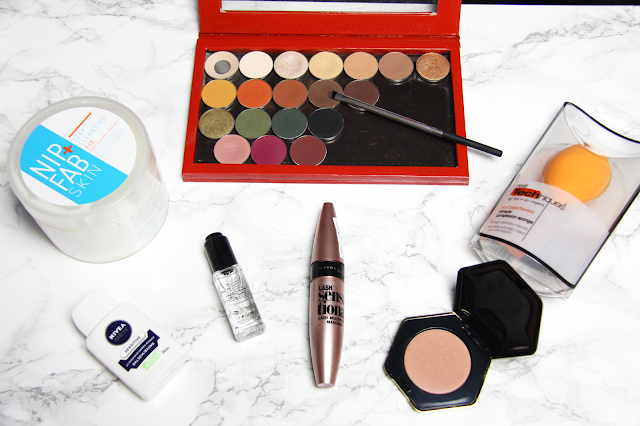 So here are the products that I used and loved the most this past month of January. I am done with this month and looking forward to my PhD defense and hopefully a new job by the end of February! How was your month? What products did you love the most?